Dogs may be man’s best friend, but that doesn’t mean we’re not occasionally embarrassed or downright disgusted by some of their habits. From rear-sniffing to rolling in anything with a repulsive smell, nothing seems to be quite as offensive to dog lovers as coprophagia—that is, eating poop. Is It Behavioral or Medical? Coprophagia is a largely behavioral issue, but can also be tied to medical causes. It is important to rule out any underlying medical problems—such as nutritional deficiencies, digestion issues, and intestinal parasites—with your veterinarian first. If your dog has a clean bill of health, his behavior could be a response to stress or simply a way to get your attention (remember, negative attention is still attention to your dog!). No matter how gag-inducing, coprophagia is considered pretty normal puppy behavior. It’s important to remember that your puppy is learning how to be a dog by exploring the world with his senses—taste included. While most puppies outgrow this behavior, it’s up to you to provide proper guidance and positive reinforcement. If you don’t, you run the risk of making your dog’s habit permanent. However, if your dog develops a taste for his (or others’) poop as an adult or senior, a visit to the veterinarian is in order to determine the cause. Whose Waste Is It, Anyway? When it comes to coprophagia, it’s important to determine whether your dog is eating his own poop, that of other dogs, or that of other animals, including cats, horses, and wildlife. While it’s certainly not a desirable trait, your dog’s consumption of his own poop is generally harmless. Eating the waste of other animals, however, could expose your dog and your family to harmful parasites and diseases. Your dog can’t eat what’s not there. Immediate and proper disposal is key to keeping your dog away from his own waste—and that of other animals in the household. If you have a cat, be sure to restrict your dog’s access to the litter box and scoop out any “snacks” at least twice a day. 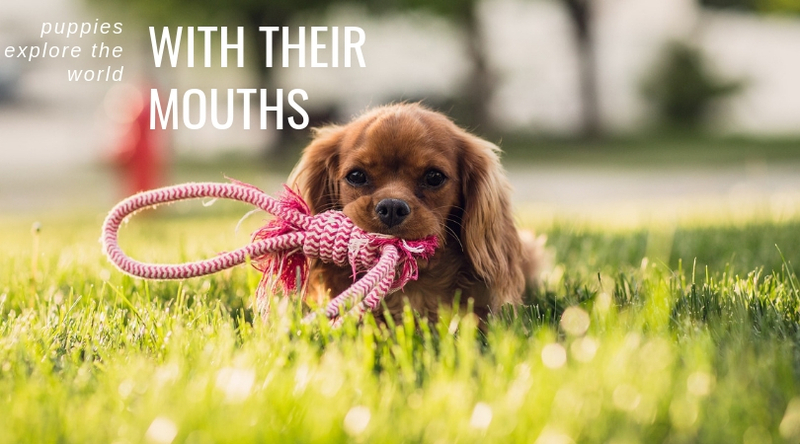 In addition to limiting opportunity, it’s important for your dog to learn that this behavior is unacceptable, and that’s where training (and lots of positive reinforcement) comes in. 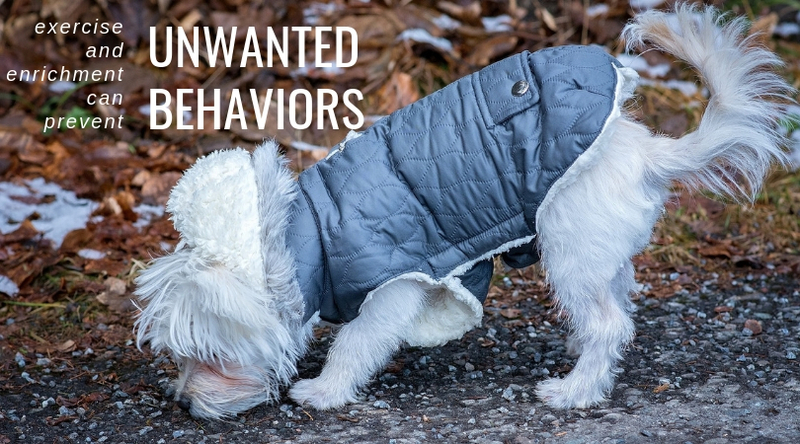 Consistently leashing your dog for bathroom breaks and redirecting his attention, practicing commands such as “leave it” or asking your dog to sit until you’ve had a chance to clean up, and rewarding appropriate behavior with praise and treats can help your dog outgrow his interest. Keeping your dog busy can ward off a wealth of behavior issues, including coprophagia. Dogs who are bored, stressed, anxious, or want attention may find some comfort in this behavior, so it’s important to ensure you are providing your dog with plenty of playtime. If your dog’s diet is lacking in vitamins, minerals, or other important nutrients, he may seek them out in his stool. Your veterinarian can help you select a high-quality, well-balanced diet to meet all of his nutritional needs—and diagnose and treat any other medical issues that could be contributing to the behavior. If you’ve covered all the bases and still have a poop-eater on your hands, a coprophagia deterrent may help. These dietary supplements alter the taste of your dog’s poop to discourage his non-discerning appetite. Have more questions about your dog’s health? Contact us or schedule an appointment today!